The question whether aliens exists and have contact with planet earth has intrigued the global scientific community. Time and again, certain phenomenon occur which are beyond the explanation of any known scientific logic of planet earth. 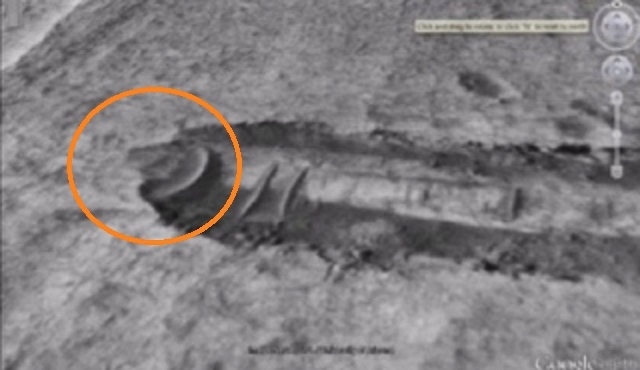 Moreover, a section of the scientific community firmly believes that there are alien bases on moon. When we talk of this aspect, it is pertinent to mention Fred Stecking’s famous book, we Discovered Alien Base on the Moon II. 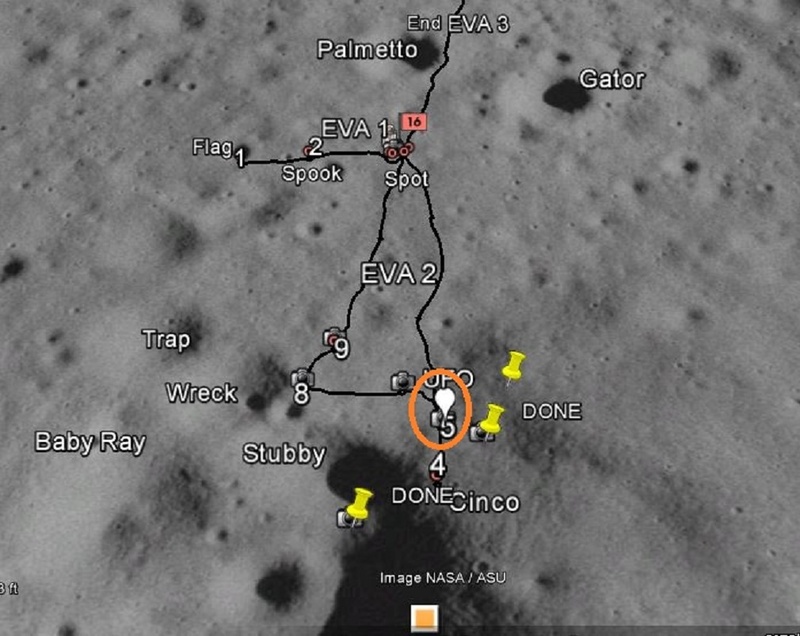 In the book it is mentioned that American astronauts who landed on the moon from Apollo 11 encountered some strange objects, in all probability UFOs (Unidentified Flying Objects) on the moon’s surface. Some accounts even suggested that the astronauts saw buildings, and mining equipment. 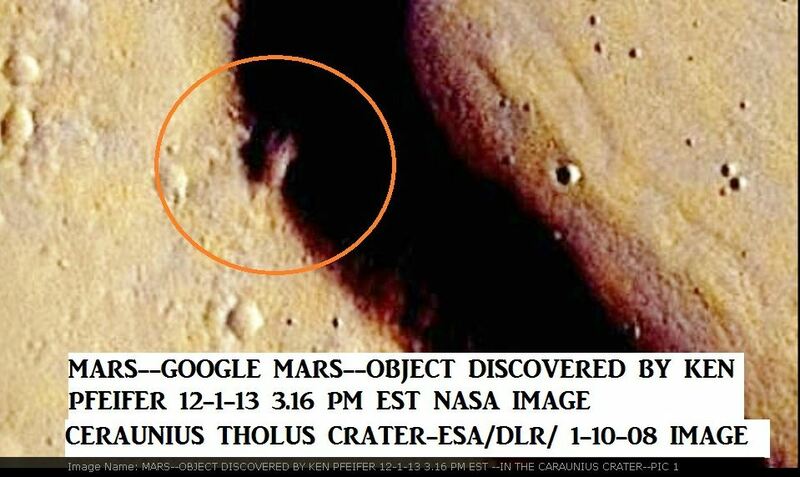 The original photographs taken by the astronauts had images of such objects, but NASA tampered with the photographs and by careful use of an airbrush, flying saucers and other UFOs images were removed, and then the photos were released to the public and/or press. Milton Cooper, a Naval Intelligence Officer mentions that not only does the Alien Moon Base exist but the U.S. Naval Intelligence Community refers to the Alien Moon Base as “Luna,” that there is a huge mining operation going on there and that is where the aliens keep their huge mother ships while the trips to Earth are made in smaller “flying saucers”. In modern times, many unidentified UFOs have been spotted by space missions but NASA has archived those sightings as undermined or classified. While in orbit mission STS-75 of Space Shuttle Columbia Astronauts witnessed hundreds of objects flying around the shuttle and began to capture the event on a camera capable of seeing past the visible light spectrum, this incident was archived by NASA as Undetermined and Classified. The complete documents, footage and video evidence were never released by Nasa. Another similar video was taken during mission STS-80 of Space Shuttle Columbia. Two slow moving circular objects; a strange rapidly moving burst of light near the earth’s surface; and a number of fast moving objects in space near the shuttle were captured in the video. 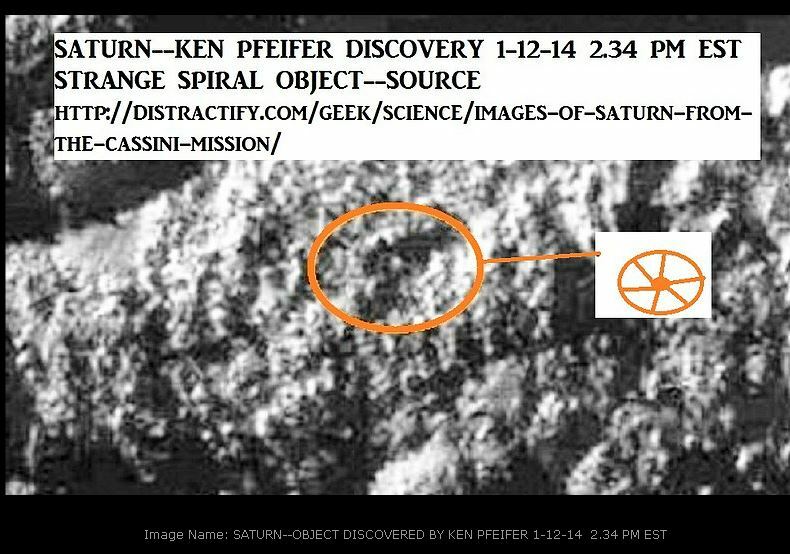 The objects could not be classified as shuttle debris or meteors and once again NASA archived them as Unidentified Flying Objects. Some theorists even believe that aliens have established contact with earth since ancient civilizations. Some ancient texts even mention sightings of UFO. Livy in his classic text Ab Urbe Condita Libri written in around 3rd century BC mentions about navium speciem de caelo adfulsisse (an appearance of ships shining forth from the sky). Some even say that the Egyptian pyramids were built by aliens as at that time no such scientific technology was available to the humans to construct with such mathematical precision. Proponents of this view believe that the pyramids are so accurately aligned with the points of the compass that only aliens could have achieved this all those thousands of years ago. The angle of the slope of the sides is so precise only aliens could achieve this. The blocks are so heavy and the pyramid so tall only aliens could achieve this. In the period 2500 BC man did not have the tools or knowledge necessary to build the pyramids, so only aliens could have done it. How the aliens built the pyramids is not yet known but they would have employed the use of advanced construction equipment. 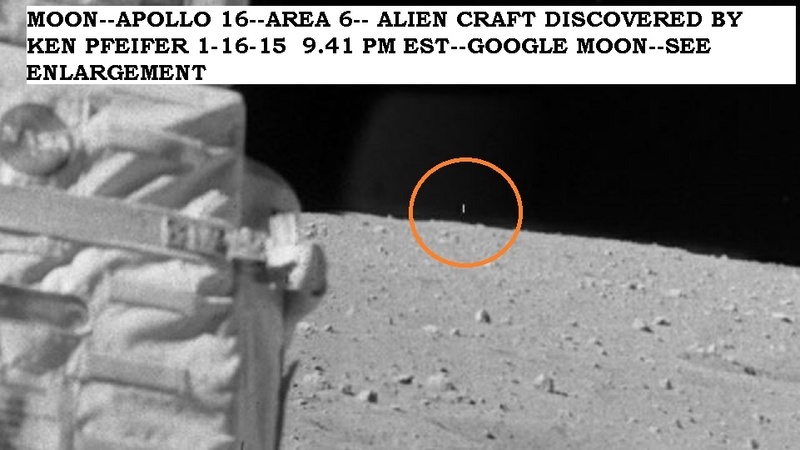 Coming back to the existence of alien life on the moon, it is even believed that Neil Armstrong after setting foot on the moon sends a message: “They are here, they are watching us”. 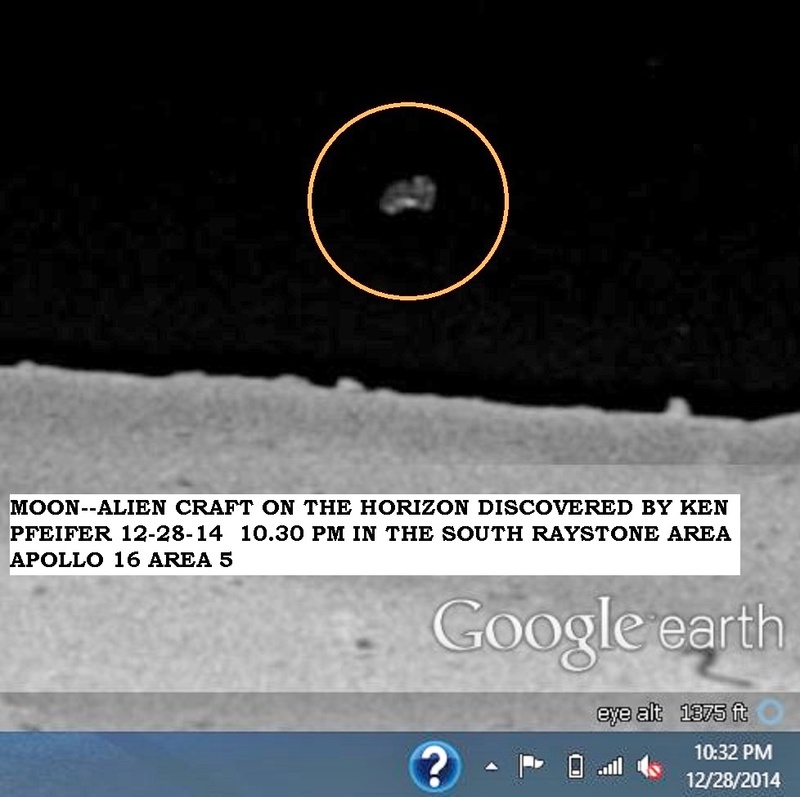 Moreover, there is an interesting picture of the moon surface which shows an object resembling a satellite. Another picture shows a structure similar to a pipe or a bridge. Such structure defies simple scientific explanation. 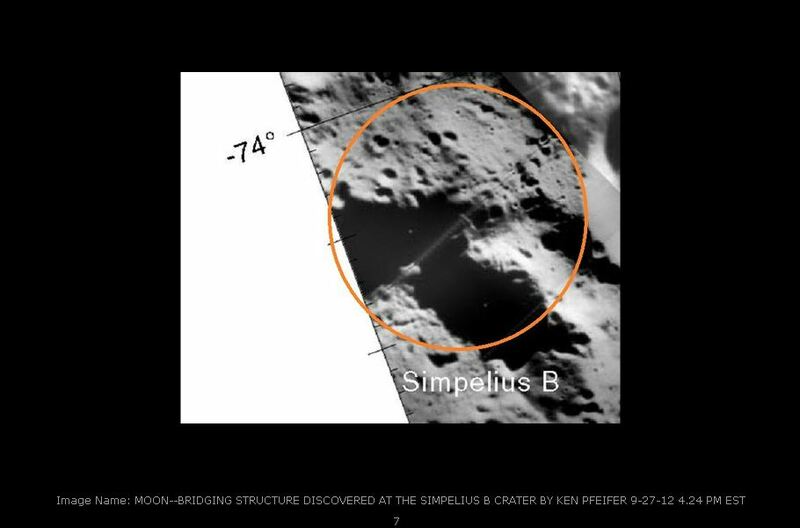 It suggests that extraterrestrials may have inhabited and made structures on the far side of the moon. Today, as we approach the 50th anniversary of moon landing, several questions still remain unanswered, the biggest of which is why any country hasn’t replicated the American efforts for a manned moon mission? Even, in the cold war era, when USSR was the dominant rival power bloc as well as a huge competitor of the US in science and technology, they never contemplated to send a fully manned mission to the moon. With all explanations and theories only one question arises and i.e. “Is it so, that some government agencies across the world are very much aware of the alien base present on the ‘Moon’ but have concealed this fact from the general public? 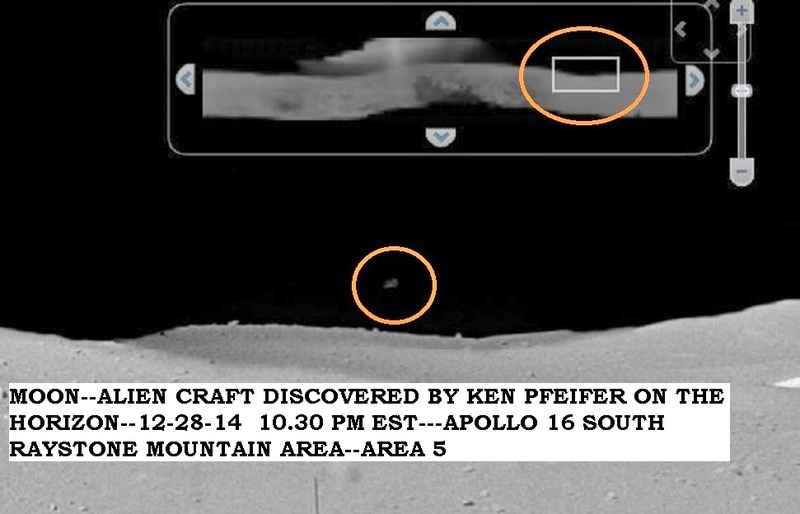 KEN NOTE: I have been discovering strange alien craft on the horizon of NASA’s high definition images from the Moon. 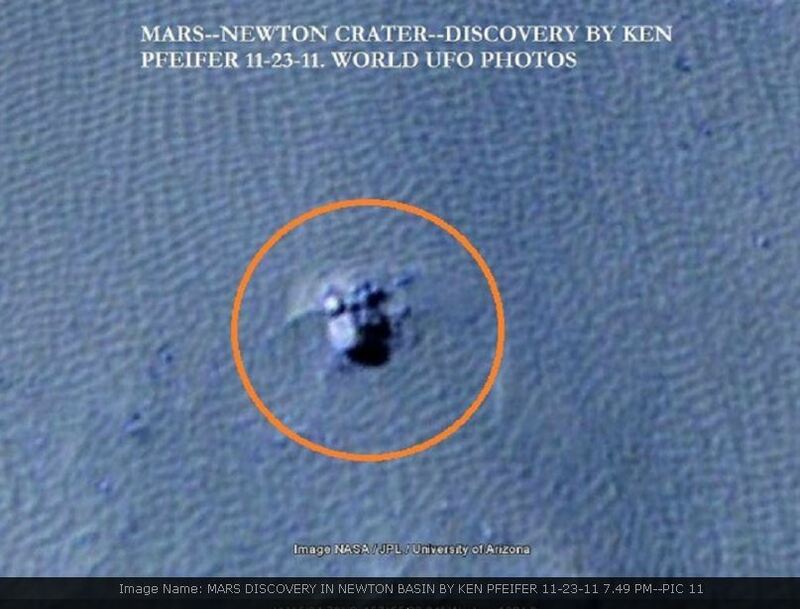 Not only are there duplicated images and poor splicing of the moon surface but strange things have been found on the surface. Either its the surface of the Moon or a stage setting of the Moon here on earth. Enclosed are a few of my recent findings. 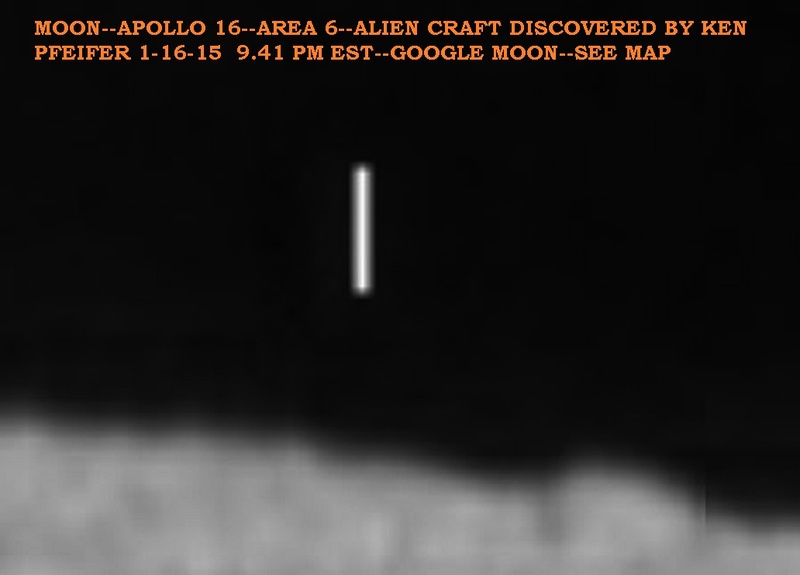 After viewing the images on Google Earth Moon, I have discovered an alien craft on the horizon of the Moon. 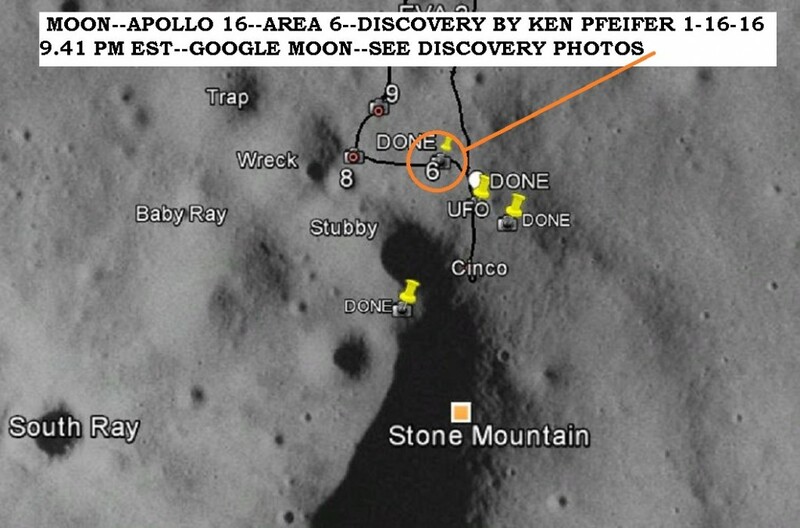 The photos were taken by the astronauts of Apollo 16 in area 5 of South Raystone mountains. I have included the area map from Google Earth to get you an idea of where this was found. 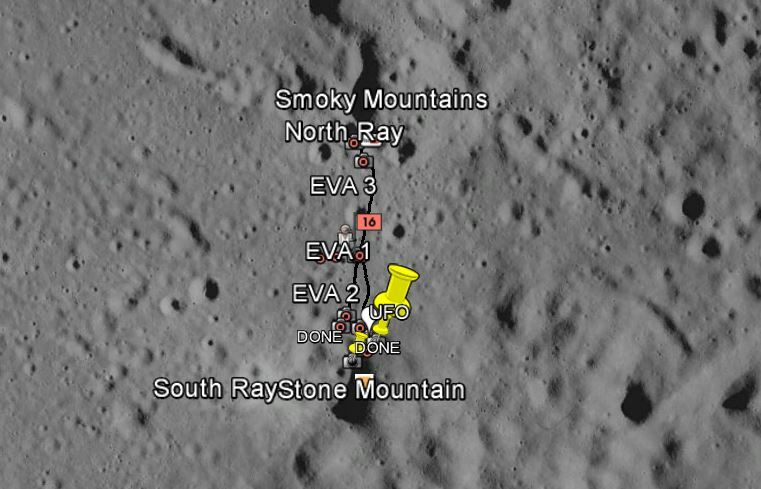 This is only one of hundreds I have discovered on the Moon.